Rockwell Collins has introduced a new mixed reality system for the defence industry. Combining a virtual reality head-mounted display and a simulated environment, Rockwell Collins Coalescence mixed reality system puts the complete training scenario in the hands and in front of the eyes of the trainee. The Coalescence system will be available in 2017 with production anticipated in 2018. Coalescence merges the trainee’s real-world view with a synthetic environment providing a seamlessly enhanced, mixed reality. This mixed reality provides trainees with immersive and engaging training scenarios for faster learning transfer and more effective training. 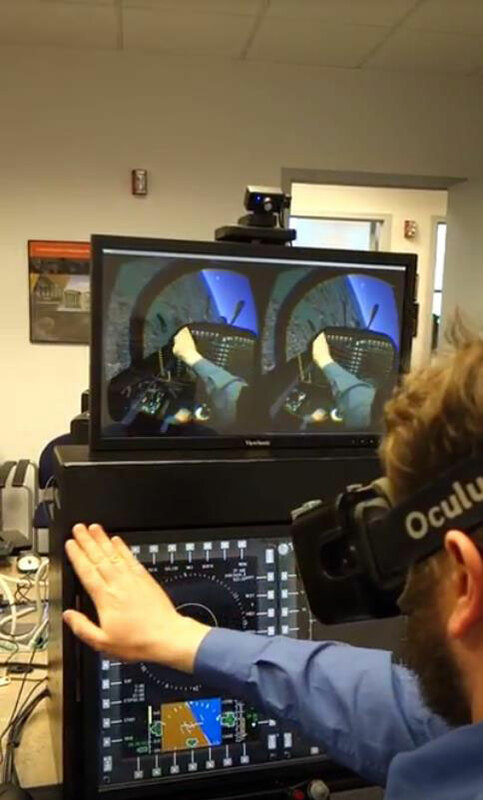 “This solution goes beyond pulling commercial virtual reality headsets off the shelf for operational use, and integrates them with 50 years of Rockwell Collins' advanced research and development for simulation and training,” said Nick Gibbs, vice president and general manager of Simulation & Training Solutions for Rockwell Collins. Coalescence seamlessly combines the virtual and real world with low total system latency to avoid motion sickness. Rockwell Collins will focus future efforts on adding depth sensing technology, increasing the positional tracking volume and technology refreshes to keep current with the latest commercial helmet mounted display developments.